Patrons were men, and on occasion women, who had the finances necessary to back piratical ventures. Some also acquired significant power and influence to protect the pirates from the law. Jean Ango, who lived in Dieppe, France from about 1480 to 1551, sponsored sailing ventures that were both legal and illegal. Through outright ownership or as a member of a syndicate, he controlled many of the vessels in the region. His ships attacked others bound from the Indies, and with his earnings he bribed bankers, judges, and military officers to protect him and thus controlled the local government. Eventually, he was imprisoned for misconduct in office. Sir George Carey, the second Baron Hunsdon, promoted piracy in England. The eldest son of Lord Admiral Charles Howard’s brother-in-law and kinsman to Queen Elizabeth I, Carey became Captain-General of the Isle of Wright and Vice-Admiral of Hampshire. As such he fenced booty and other items acquired through illegal means. Any victim who dared to seek justice through the Admiralty Court in London lost his case because Carey influenced or bribed the judges. Between 1587 and 1591 he financed at least three pirate fleets that plundered the West Indies. The Killigrews of Cornwall also supported piracy during the sixteenth century. Various members of this family fenced stolen goods, while a few actually became pirates. Frederick P. Philipse was one of New York’s richest and most politically influential merchants of the last decade of the seventeenth century. He financed numerous pirate ventures, including that of Adam Baldridge’s trade with the pirates of Madagascar. Philipse’s final shipment to St. Mary’s in 1698 carried salt, arms (guns, pistols, muskets, knives), gunpowder, flints, alcohol (beer, wine, rum), looking glasses, sewing implements (thimbles, scissors, thread, 3000 needles), buttons, ivory combs, cotton candlewicks, tobacco pipes, hats, and shoes. These items were sold or traded for gold, silks, spices, and slaves. His son, Adolph, also participated in the pirate brokering business. Nor were the Philipses the only colonial entrepreneurs to fund pirate ventures. Men just like them lived in Philadelphia, Boston, Newport, and Charleston. They functioned as legitimate importers and merchants, but also brokered stolen goods. They incorporated their fees into the value of the cargoes pirates brought them, then sold those goods at a high profit. Merchants purchased ill-gotten gains from pirates in hopes of making greater profits than they could through legal means. Some wealthier merchants openly financed pirate expeditions. Forbidden to manufacture anything themselves, British colonists had to import all manufactured goods at high prices. 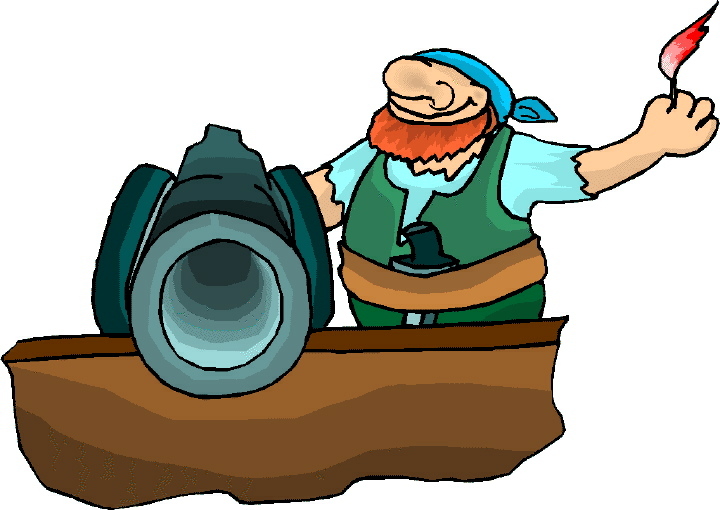 Since pirates had these items (especially scarce goods from foreign countries), and the colonists didn’t have to pay high import duties, they welcomed the pirates. According to some estimates, pirates brought £100,000 into New York’s economy. Once a pirate himself, Adam Baldridge fenced and traded with pirates for six years. He arrived on St. Mary’s Island in Madagascar, a haven for pirates, in early 1691, and built a trading post, a house, storehouse, and log fortress protected by six cannons on the small island surrounded by a lagoon. He also erected a second fortification near the harbor with about twenty-two guns. Pirates exchanged gold and other booty for the supplies they needed. Wine, for example, sold in St. Mary’s for fifteen times its New York price. Over the next six years Baldridge built a lucrative business, which he sold to Edward Welch in 1698. Between 1697 and 1699 several merchant ships put in at St. Mary’s laden with cargo for trade with the pirates. Under the command of Richard Glover, the Amity arrived in May of 1697. Unfortunately, the crew of the Resolution stole the cargo, which resulted in a loss for the Amity’s owners, the Governor of Barbados and several others. Captain Thomas Mostyn arrived aboard the Fortune in June. When he returned to New York in 1698, he brought with him fourteen pirates who had decided to retire. Port Royal, another pirate haven, catered to many pirates during the days of the Buccaneers. One of the town’s more genteel establishments was Barre’s Tavern, which served “silabubus [sic], cream tarts and other quelque choses.”(Marley) John Starr ran the biggest brothel in Port Royal. His girls included twenty-one whites and two blacks. Members of the government tended to fall on both sides of the piracy issue. Some were friends. Some proved to be enemies. Between 1581 and 1583 Francis Hawley, an English customs official and the deputy of Sir Charles Christopher Halton at Corfe Castle, received stolen merchandise from pirates. Among those were Stephen Heynes (also known as Stephen Carless), who often said he “had better friends in Englande then eanye alderman or merchants of London”(Rogozinski) and William Valentine (aka Vaughan), who once captured a cargo of Bibles. One frequent abuse of power stemmed from the letters of marque the colonial governors issued. Thomas Tew received his commission from Governor Benjamin Fletcher of New York. Fletcher, a colonel in the English Royal Army, became governor in August 1692, and also received a two-year appointment as the Governor of Pennsylvania and commander of the Connecticut, Rhode Island, and New Jersey militias. In return for the privateering commission, Tew gave the governor a promissory note of £300 to insure that he did nothing illegal, yet he went to the Red Sea and captured an Arab ship laden with gold that netted him £8,000 and each pirate £1,200. That Fletcher, and others like him, consorted with pirates was not a secret. Fletcher invited Tew to dine with his family and accepted a gold watch from the pirate. When Edward Coates wished to bring his plundered goods into New York, Fletcher wanted £700. Instead, Coates gave him the entire ship, which Fletcher sold for £800. When the governor received a reprimand for selling letters of marque to pirates, he wrote, “It may be my unhappiness, but not my crime if they turn pirates.”(Marx) Yet he did know, for his wife and daughters wore silk gowns and jewelry Tew acquired from his attack on ships of the Mogul of India. Governor William Markham of Pennsylvania was a “steddy friend” to pirates. He approved of his daughter’s marriage to James Brown, who had sailed with Avery. Markham helped his son-in-law secure a seat in the assembly and protected him for £100. Another pirate, Captain Sneed, paid the governor slightly more money to become a justice of the peace. He did not, however, prove a friend. He prosecuted pirates and accused Markham of consorting with pirates. Robert Livingston, an entrepreneur in New York, assisted William Kidd in acquiring sponsors for the privateering voyage that resulted in Kidd being declared a pirate and murderer. One supporter was Lord Bellomont, a member of Parliament. The other members of the syndicate included four lords (Somers, Orford, Romney, and Shrewsbury) and a director of the East India Company, Edmund Harrison. Jacques Nepveu, Sieur de Pouançay, was the fifth governor of Tortuga and Saint Dominque. To revive the economy he granted letters of marque to pirates on the condition that they returned to the island with their prizes, and he maintained this policy even after peace was declared in 1679. During his tenure, he employed over one thousand pirates, including the Chevalier de Grammont, Pierre le Picard, and Jean Rose. Jean-Baptiste Ducasse, the seventh governor of Saint Domingue, led French pirates in raids against Jamaica in 1694 and Cartagena in 1697. Few pirates actually married. Out of a sampling of 521, only twenty-three had wives. Those convicted of their crimes often asked for their parents’ forgiveness, but rarely mentioned wives and children. There were exceptions, though. In 1709 forty-seven women and others kinsmen petitioned Queen Anne to pardon the pirates of Madagascar. William Baugh wanted to marry the daughter of Henry Skipwith, commander of the fort at Kinsale, Ireland. Baugh bribed Mrs. Skipwith with gifts of silverware, linen, and canvas to gain her daughter’s hand and to secure protection from prosecution. William Dampier married, but rarely mentioned his wife in his journals and spent little time in England. Stede Bonnet supposedly became a pirate to escape his nagging wife. Henry Morgan and William Kidd both married and had children. John Criss, of Ireland, left behind three wives upon his death. The most commonly thought-of relationship between pirates and women involved informal sexual liaisons. Baptiste Ingle, a pirate in Captain Robert Stephenson’s crew, came to Whiddy Island in 1612. He often made “merry with a young woman that lay at Ballygubbin.”(Bandits at Sea) His fellow pirates said he intended to wed the colleen, but the wooing ended abruptly after he absconded with £100 he stole from his comrades. Most pirates, however, had less permanent liaisons with women. Prostitution was a thriving business in the ports or havens where they visited. In 1740 Charles Leslie wrote, “Wine and women drained their wealth to such a degree that, in a little time, some of them became reduced to beggary. They have been known to spend two or three thousand pieces of eight in one night; and one gave a strumpet five hundred to see her naked.” (Cordingly) Mary Carleton, the German Princess, was Port Royal’s most famous prostitute. Born in Canterbury, England, she arrived in that city soon after her conviction in 1671 for theft and bigamy. Cheng I Sao (1775-1844) was a prostitute in Canton, China before she married Cheng I in 1801 and helped him create a powerful federation of pirates. Not all women that consorted with pirates, however, were prostitutes. They were legitimate “traders, truckers or vitelers”(Bandits at Sea), some of whom were widows that acquired the business upon their husbands’ deaths. Other women held jobs men did not. An Irish seamstress received a bolt of striped cloth in 1610 to make John Bedlake a waistcoat. Thomas Barlowe’s wife sold beer to pirates in Leamcon, Ireland. In nearby Long Island, Black Dermond and his wife exchanged food for wine, canvas, broadcloth, steel, and other goods. Three Bantry Bay women were accused of receiving stolen goods from Dutch pirates in 1625. Mrs. Thibault Suxbridge operated a Dublin safe house where friends and relatives found sanctuary from the authorities. In July 1612 her brother, Henry Orange, stayed almost a week until he found a ship to England. William Baugh also stayed in the house, but fled after he stole jewels and diamonds. After the Golden Age of Piracy ended around 1730, the number of pirates declined dramatically. They did not, however, cease preying on unwary vessels. Significant losses to merchants and ship owners, as well as frequent victims’ complaints, spurred the American and British governments to clamp down on piracy. In 1822 the United States Navy formed a special squadron to carry out this mission. “The Mosquito Fleet” established its base on Key West under the command of Commodore David Porter, and within three years pirates ceased to plague maritime commerce in Caribbean and American waters. Porter, however, was not the first of the pirate hunters. Another pirate hunter succeeded in capturing several notorious pirates of the golden age, but few know his name. Captain Jonathan Barnett attacked the pirate sloop late in the evening of 22 October 1720. “…[T]he women screamed, fighting like hellcats as they shot their pistols and swung their cutlasses, refusing to give up peacefully.” (Eastman) In the end, however, Barnett and his men subdued Calico Jack Rackham, Anne Bonny, Mary Read, and the other pirates in the crew and returned them to Jamaica to await trial. Bartholomew Roberts, one of the most successful pirates, met a different fate when he and his men tangled with the British Royal Navy off the coast of Africa in 1725. The HMS Swallow, under the command of Captain Chaloner Ogle, fired her guns loaded with grapeshot that “…struck him [Roberts] directly on the Throat. He settled himself on the Tackles of a Gun, which one Stephenson, from the Helm, observing, ran to his Assistance, and not perceiving him wounded, swore at him, and bid him stand up, and fight like a Man; but when he found his Mistake…he gushed into Tears….” (Defoe) Roberts’ crew “threw him over-board, with his Arms and Ornaments on, according to the repeated Request he made in his Life-time.” (Defoe) For ending Roberts’ reign of terror, Captain Ogle received a knighthood. Not all Guardacosta were like the pirates themselves. Pedro de Castro patrolled the Gulf of Mexico. He helped to roust the logwood cutters, many of whom were pirates, from Laguna de Términos in 1680. Almost two decades earlier, Esteban de Hoces and Juan González Perales captured numerous vessels, including the pirate ship Cabellero Romano. Another pirate hunter was Mateo Alonso de Huidobro of the Spanish navy. His 218-ton frigate helped to corner Henry Morgan’s flotilla during the buccaneer’s raid on Maracaibo in 1669. Fourteen years later, de Huidobro attended a banquet in Veracruz while two unknown ships lurked nearby. The governor, who believed the vessels to be peaceful merchantmen from Caracas, disregarded de Huidobro’s warning about pirates. In actuality, the ships were captured Spanish prizes under the commands of Laurens de Graaf and Jan Willems. The pirates disembarked 800 men near Veracruz that night, and before dawn surprised the garrison. De Huidobro rallied the guards at the governor’s palace, but was slain on 18 May. Although some hunters were naval personnel, reformed pirates also hunted their own kind. One such example was Benjamin Hornigold, a fierce and proficient pirate who sought haven in New Providence in the Bahamas. His fellow pirates held him in high esteem, and he trained many, including Blackbeard, to follow in his footsteps. Hornigold took the king’s pardon in 1718, and thereafter ruthlessly hunted pirates who refused to change their ways. After he captured Charles Vane’s sloop, Governor Woodes Rogers wrote: “Captain Hornigold having proved honest, disobliged his old friends by seizing this vessel and it divides the people here and makes me stronger than I had expected.” (Lee) Although he failed to capture Vane, Hornigold did bring in John Auger and seven others, who eventually were hanged for their crimes. The commissions to hunt pirates came from colonial governors, who abhorred piracy. When Sir Thomas Lynch became Governor of Jamaica, he arrested his predecessor, Sir Thomas Modyford, for authorizing the raid on Panama, and Henry Morgan, for carrying out the attack. Both were sent to England, where Modyford spent two years in prison, but Morgan’s influential friends gained his release. When news of Modyford’s imprisonment reached the pirates, they avoided Jamaica. Three years later, Morgan returned with a knighthood and an appointment as Lieutenant Governor of the island. Lynch resigned and left Jamaica. In 1682 King Charles II reappointed Lynch as governor and he once again pursued pirates. After a jury acquitted Joseph Bannister of piracy, Lynch became so exasperated he succumbed a week later. From time to time England sent officials to her colonies to assess the corruptness of government officials. Edmund Randolph, a surveyor-general of Customs in America, found that almost every governor and official wasn’t “fit for Office” and every colony was “a Receptacle of Pyrates.” He named two exceptions, Virginia and her governor, who were “truly zealous to suppress Pyracy and illegal Trade.” (Marx) In 1699 Governor Nicholson issued an arrest warrant for several pirates: “Tee Wetherly, short, very small, blind in one eye, about eighteen; Thomas Jameson, cooper, Scot, tall, meagre, sickly look, large black eyes, twenty; William Griffith, short, well set, broad face, darkest hair, about thirty.” (Marx) The following year, Nicholson played a significant role in bringing to justice the French pirate Lewis Guittar and seventy others. Sometimes a witness provided key evidence that altered the court’s opinion of the guiltiness of the prisoner before them. After pirates captured Aaron Smith, they forced him to go on the account. He eventually escaped, but was arrested and tried as a pirate three times (once in Cuba and twice in England). At one trial, he called Miss Sophia Knight, his fiancée as a witness. Holding a letter, she wept as she testified. “I have been intimately acquainted with the prisoner for more than three years. This letter is from him. It is the last that ever reached me. It is dated Oct., 1821. After the date of the letter, I expected on the prisoner arriving in England that I should become his wife. It was so arranged.” (Captured by Pirates) The jury found Smith not guilty. Later, he returned to the sea and pirates almost captured him again. One thinks of a minister as preaching to his flock and comforting the sick, but some clergy added another task to their duties – extracting confessions from pirates and persuading them to repent before they died. The Reverend Paul Lorrain, the Ordinary (prison chaplain) at Newgate Prison instructed pirates in Christianity. For the three Sundays prior to their executions, Lorrain preached twice a day. 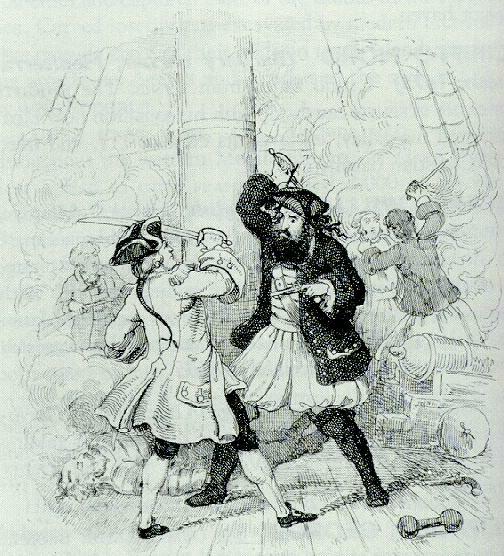 Of one unrepentant pirate, Alexander Dolzell, a forty-two-year-old Scot, Lorrain wrote, “He was so brutish and so obstinate that he would not be satisfied with anything I offered to him in this matter, saying, he hated to see my face, and would not attend in the Chapel…nor receive any public or private admonition from me…” (Cordingly) Just before his hanging, and while Lorrain prayed, Dolzell repented and apologized. Cotton Mather, the minister of Old North Church in Boston (1685-1722), considered pirates to be “the Common Enemies of Mankind” and that all nations should take whatever means were necessary to “extirpate them out of the World.” (Rediker) Mather often preached against piracy from his pulpit, and persuaded convicted pirates to confess. Determined to show them the errors of their ways, he played a significant role at both their trials and executions. He preached daily sermons to John Quelch and his men, and prayed with them, “and they were catechised; and they had many occasional exhortations.” (Cordingly) To the survivors of the Whydah, he said, “All the riches which are not honestly gotten must be lost in a shipwreck of honest restitution, if ever men come into repentance and salvation.” (Cordingly) Mather also accompanied pirates, including William Flynn, as they walked to the scaffold and later published their conversations in pamphlets. Those most affected by piracy were those who fell victim to the pirates. Some eventually had the opportunity to see justice done, having escaped with just the loss of their valuables, but others weren’t so lucky. Barbary corsairs raided Baltimore, Ireland in 1631 and enslaved almost the entire population – one hundred men, women, and children. Only two victims, Joan Brodbrooke and Ellen Hawkins, returned home after being ransomed fifteen years later. Doña Augustin de Rojas of Portobello had the misfortune of falling into the hands of buccaneers in 1668. Henry Morgan had her stripped naked then forced her to stand in an empty wine barrel. The buccaneers filled the barrel with powder. One of them held a lit fuse to her face and demanded she tell them where the treasure was hidden. Some women endured repeated rapes, and if they survived and returned to society, society often considered them damaged goods. Bandits at Sea: a Pirates Reader. New York University Press, 2001. Captured by Pirates: 22 Firsthand Accounts of Murder and Mayhem on the High Seas. Fern Canyon Press, 1996. Cordingly, David. Under the Black Flag. Random House, 1995. Defoe, Daniel. A General History of the Pyrates. Dover, 1999. Dunham, Jacob. Journal of Voyages: Containing an Account of the Author’s Twice Being Captured by the English and Once by Gibbs the Pirate . . . . Published for author, 1850. Exquemelin, Alexander. Buccaneers of America. Dover, 2000. Gee, Joshua. Narrative of Joshua Gee of Boston, Massachusetts, While He was Captive in Algeria of the Barbary Pirates. Wadsworth Atheneum, 1943. Gottschalk, Jack A., and Brian P. Flanagan. Jolly Roger with an Uzi. Naval Institute Press, 2000. Hoffman, Paul E. Spanish Crown and the Defense of the Caribbean, 1535-1585. LSU Press, 1980. Konstam, Angus. The History of Pirates. Lyons Press, 1999. Lee, Robert E. Blackbeard the Pirate. John F. Blair, 2002. Marley, David F. Pirates and Privateers of the Americas. ABC-CLIO, 1994. Marx, Jenifer. Pirates and Privateers of the Caribbean. Krieger, 1992. Parker, Lucretia. Piratical Barbarity of the Female Captive. Peter Pauper Press: 1930. Rediker, Marcus. Villains of all Nations: Atlantic Pirates in the Golden Age. Beacon Press, 2004. Rogozinski, Jan. Honor Among Thieves: Captain Kidd, Henry Every, and the Pirate Democracy in the Indian Ocean. Stackpole, 2000. Smith, Aaron. The Atrocities of the Pirates. Golden Cockerel, 1929. Zacks, Richard. The Pirate Hunter: the True Story of Captain Kidd. Hyperion, 2002.